I've been struck to the core by Paul's confession of worship as he begins Romans 12: "Therefore, I urge you brothers, in view of God's mercy, to offer your bodies as living sacrifices, holy and pleasing to God-this is your spiritual act of worship." It would be so much easier, if Paul had used "songs" instead of "bodies." Or maybe "events" or "Sunday mornings" or .... "Bodies" is such an encompassing word. This definition requires our mind, heart, soul and strength-our entire lives! And that's just what worship calls for, all of who we are. Any less would not be worship. Listen to samples from Chris Tomlin's recent album, Not To Us. Recently, I had the opportunity to meet a modern-day Paul. I received a special invitation to sit in a small group conversation with a Jesus fugitive. He told me his name, or at least his alias, and out of respect he must remain nameless here. He is the founding father of an underground movement in China that some estimate to be around 100 million strong. He has been in the states for a little over a year and appears to be in permanent exile here. His resum‚ reads similar to Paul's. Among several trials, he watched as his parents were murdered for their unrelenting faith in Jesus. He has been thrown in prison for Jesus four times and led to the execution chamber twice-realities our western minds find hard to grasp in 2003. As our conversations continued, he began to speak of the continual miracles of God he had witnessed. Not big miracles, he said, just people being healed of illness instantly and an illiterate women suddenly being able to read when the bible was placed in her hands. One account, he recalled, was of two pastors trekking through the outer edges of China in a snowstorm. There was no place for shelter, so they decided to sleep in the snow, knowing they would die and be with their Lord. But, he said, they woke up the next morning to sunshine and animal tracks all around. In the night, animals had come and lay on top of them to keep them warm. No big miracles, he said. But what got my attention most was when he said the music wasn't very good in his church gatherings. Through his translator, he stated, "If we sing loud, they'll hear us and arrest us. So we just gather up close and whisper the songs to God. We have to be quiet." It was an awakening moment for me. Again, I saw another picture of true worship living itself out. I thought of all my efforts to sing and play loud for God, and never had I been a part of a chorus as loud as their whispers. In our culture today, if our music is a bit lacking, then so goes our "worship." But I was awakened again that worship has little to do with style or volume. It is about spirit. It is about being on a mission to live and die for the name and renown of Jesus. My humble friend from China was a representation of what it looks like to present your body as a living sacrifice to God. So where does this leave us in our current worship culture? We have been so blessed with resources and freedoms to worship the Lord. And too many times, our biggest concerns and quarrels are over loud guitars, drums, or the color of carpet. When I think that there are those who might be arrested and even die for singing out the name of Jesus, I recognize our frustrations and so-called hardships are small. Small in dreams and small in passion. But I see new generations rising up with a burning flame inside to live out lives of surrender, of sacrifice, of worship to God. The Passion movement is a passage of scripture that best defines this abandon lifestyle. Isaiah 26:8 says, "Yes, Lord walking in the ways of your truth, we wait eagerly for you; your name and renown are the desire of our souls." This is not a one-stop deal, but a never-ending life theme, a life that stands in view of the mercy of God and echoes the psalm, "better is one day in your courts than a thousand elsewhere; I would rather be a doorkeeper in the house of my God than dwell in the tents of the wicked." 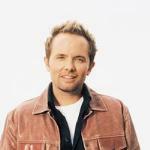 Chris Tomlin, whose song "Enough" won Worship Leader Magazine's 2002 Praise Award for "Best New Song," is a lead worshiper with the Passion conferences and a regular part of the worship at Austin Stone Community Church in Austin, Texas. His latest album is titled Not To Us.